Create Your Own Poster Print – Polaroid Inspired! 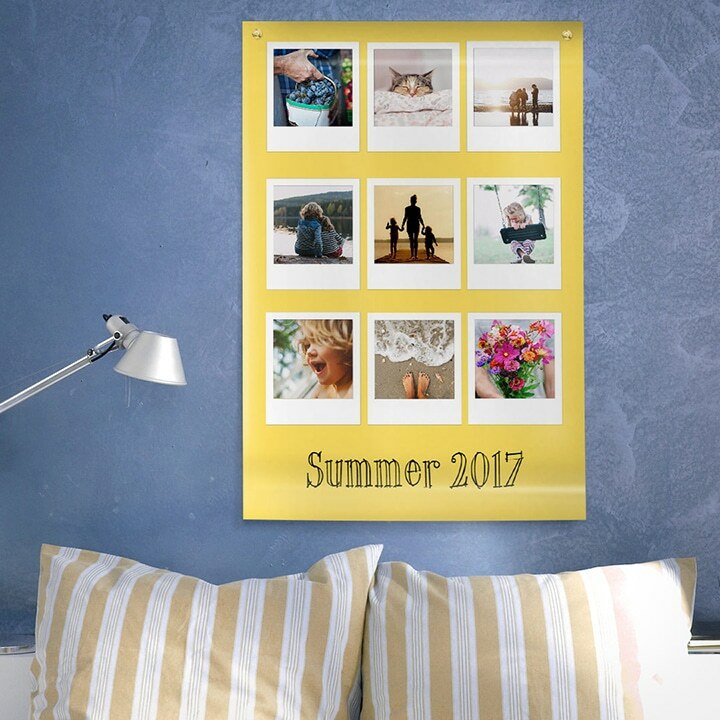 Capture the best of your summer on a Polaroid inspired poster print! In this post, we’ll take you through the easy process of how to create your own poster in a few simple steps. Step 1. Create your own poster – choose the size! Select ‘Prints’ from the main header and then ‘Poster Prints‘ from the sub-menu. Choose your preferred size of poster and click ‘Make This Product’. Step 2. Pick your photos. Choose your favourite summer snaps from ‘Your Albums’. Tap to select the photos you want to add, and click ‘Add Selected Photos’. Step 3. Remove the full photo layout. 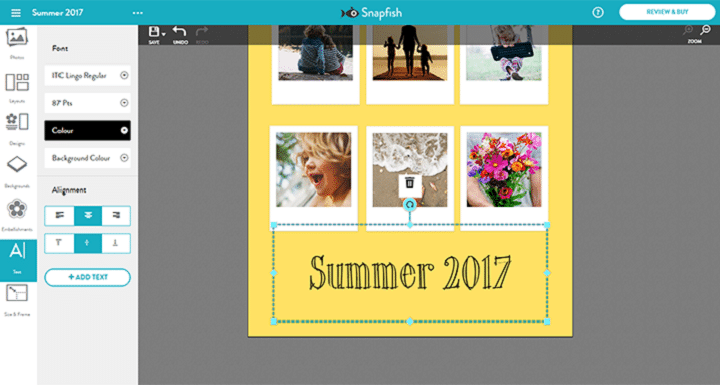 Create your own poster by shuffling the layout and then delete the ‘Photo Here’ slot. 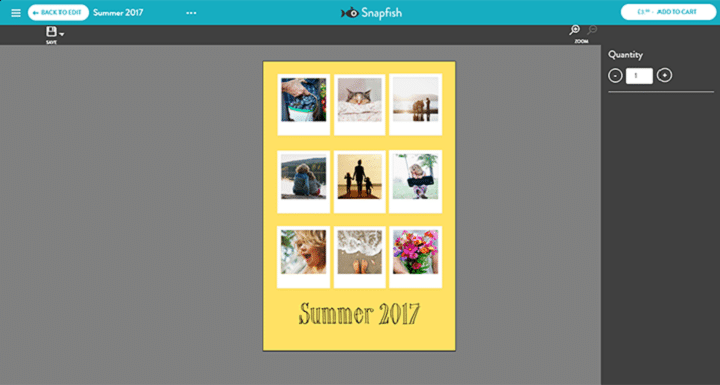 Deleting the photo layout will leave you with a plain poster so you can start creating your poster design. Step 4. Choose your background colour. Before you start adding any frames or photos to the poster, pick a background pattern, colour or texture. Step 5. Add your frames. Select the Polaroid style frame from Embellishments > Basics > Frames & Corners. Drag and drop the frame onto the poster and resize. 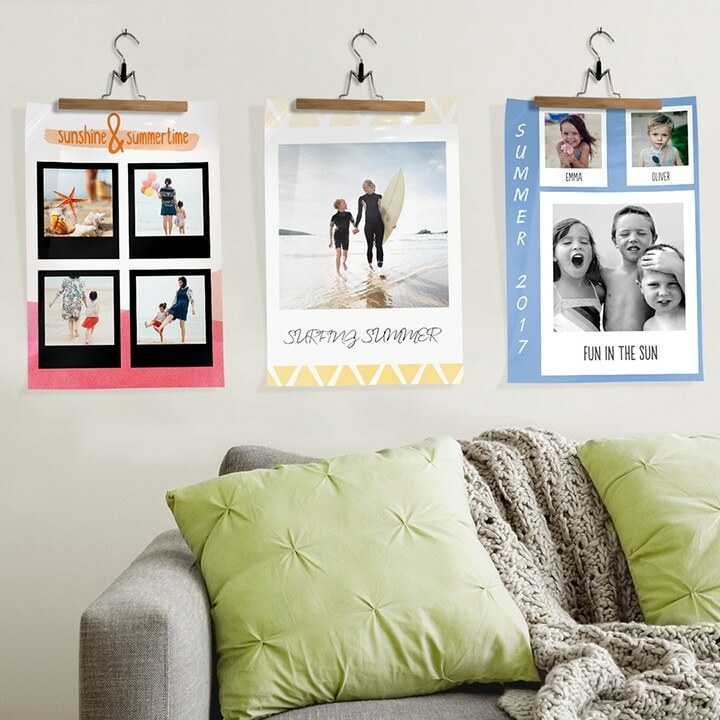 Add all your frames to the poster before you start inserting photos. Align your frames using the pink lines. Step 6. Time for photos! Drag your photo into the frame. You will need to crop/ move the image to fit the frame. We made our photos a little larger than the photo area in the frame to ensure that the photo filled the space. Simply click ‘Back’ to move your photo behind the frame. Top Tip! Use the ZOOM button to get a closer look at your poster print. Step 7. NEW FEATURE! Edit your photos. 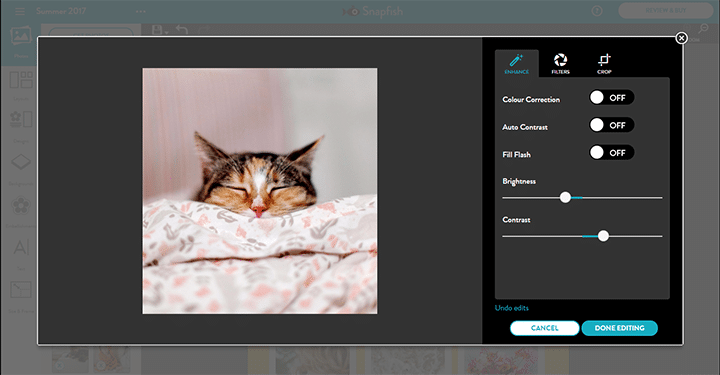 Now you can edit your photos whilst you’re in the builder. 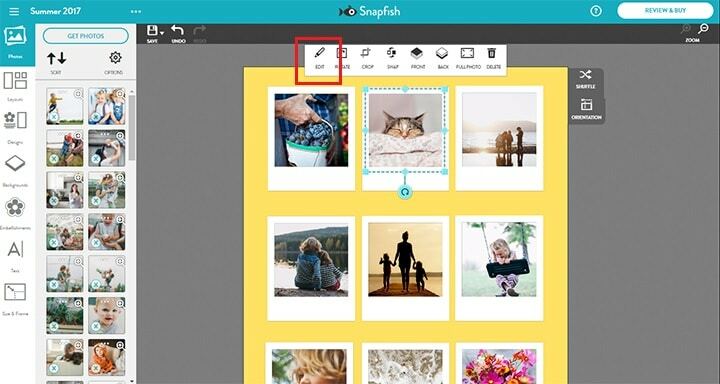 Choose the photo you’d like to edit and click ‘Edit’ in the toolbar. 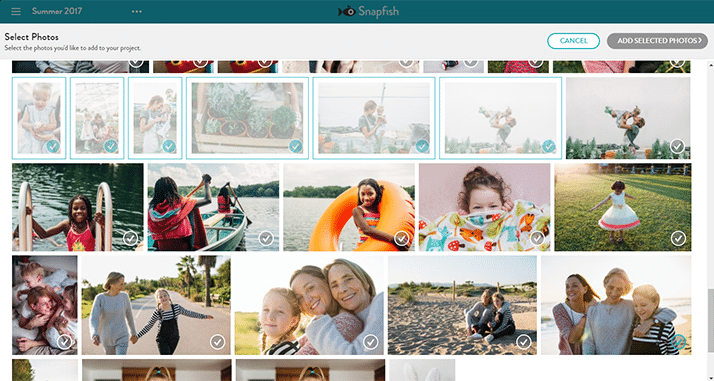 You’ll be able to enhance, crop and add a filter to your photo. When you’re finished click ‘Done Editing’ and you will see your newly edited picture on your poster. We left space at the bottom of the poster to add a line of text. You could also add text to each individual frame; a little note of when or where the photo was taken. Step 9. Place your order. 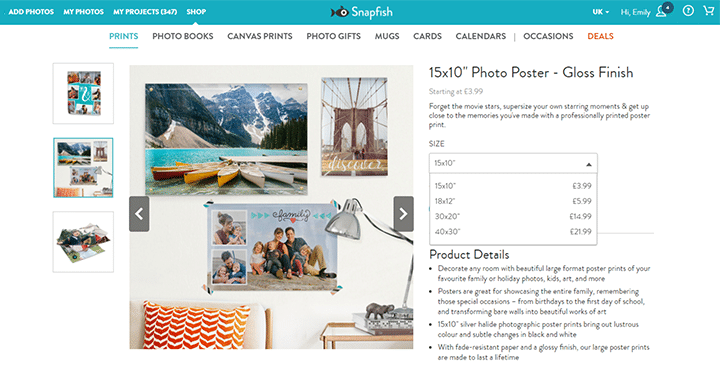 When your happy with your Polaroid inspired poster print you’re ready to ‘Add to Cart’. The final product, a fun personalised poster design to remind you of your favourite memories! Read more about editing tools. Tagged as Inspirtation, Polaroid, poster design, poster prints, wall art.